It’s raining and raining and raining, and Penelope is bored. 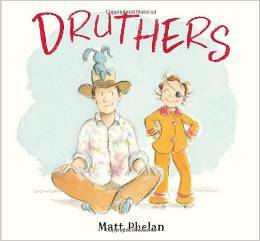 "What would you do if you had your druthers?" asks her daddy. Well, if Penelope had her druthers, she’d go to the zoo. Or be a cowgirl. Or a pirate captain who sails to the island of dinosaurs, or flies away on a rocket to the moon. If Penelope had her druthers, she’d go off on amazing adventures — but then again, being stuck inside may not be so bad if your daddy is along for the ride! 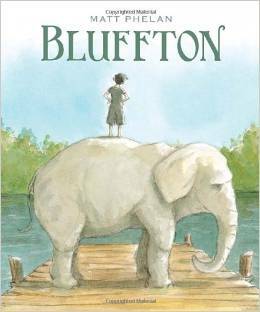 Discover the mischievous and affectionate side of a revered poet in this adventure about Emily Dickinson, four young friends, and a traveling circus. Tall tale. Thriller. Gripping historical fiction. 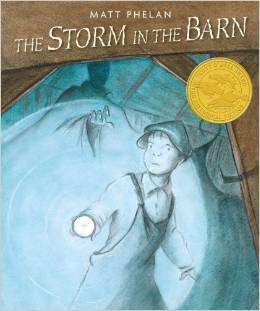 This artful, sparely told graphic novel — a tale of a boy in Dust Bowl America — will resonate with young readers today. Xander planned a panda party. Yes, a dandy whoop-de-do! But Xander was the only panda. Just one panda at the zoo. The zoo's paucity of pandas doesn't impede Xander's party planning for long. He decides to invite all the bears. But Koala protests. She's not a bear--she's a marsupial! Does that mean she can't come? Xander rethinks his decision to invite only bears, and "Calling all bears" evolves into "Calling all creatures." The Newbery Medal author Linda Sue Park introduces animal taxonomy in a wonderfully engaging way, and the celebrated artist Matt Phelan's charming ink and watercolor paintings are the icing on the cake. A read-aloud whoop-de-do!